Certain smells make you nostalgic – the earthy smell of the first rain, the scent of old books, and the fragrance of Lux soaps. Lux is a brand that all the 90s kids are familiar with. 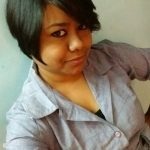 Decades ago, Lux marked a shift in the beauty trends in India, and since then, it has been redefining beauty and skin care. It has evolved with the ever-changing beauty trends and is a household name today. 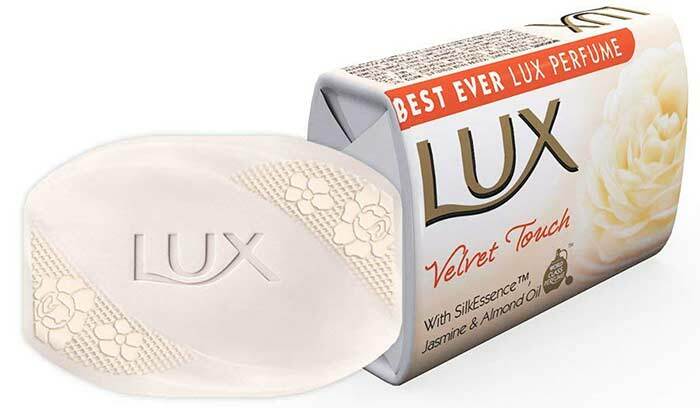 Here’s a list of the most popular Lux soaps available in India. 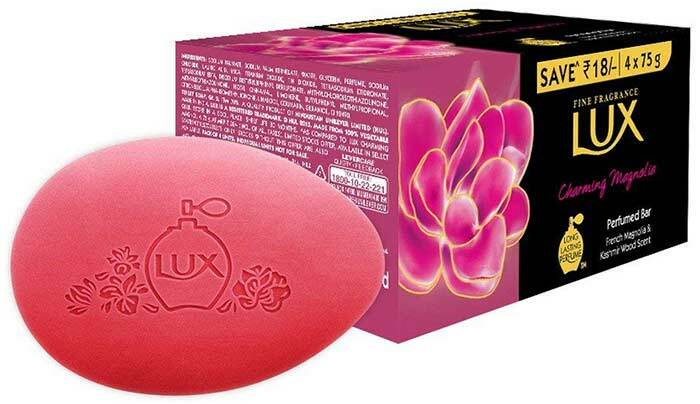 This Lux bath soap claims to make your skin irresistibly soft and smooth to touch. Formulated with fusion oils, this beauty bar contains the fragrance of real flowers. The top note has bergamot and red fruits, heart note has French rose and white florals, and the base note has amber, musk, and vanilla fragrances. It gives a rich lather and takes your bathing experience to the next level. 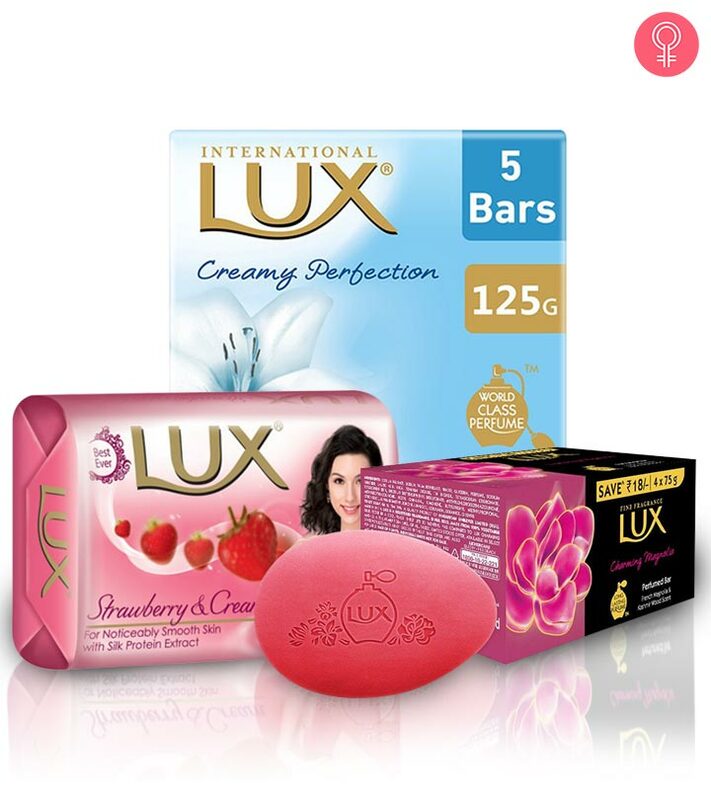 This Lux International soap has a soft feminine fragrance and is crafted with a creamy formula that cleans your skin without drying it. The product contains Swiss moisturizers and has a delicate fragrance that lingers throughout the day. 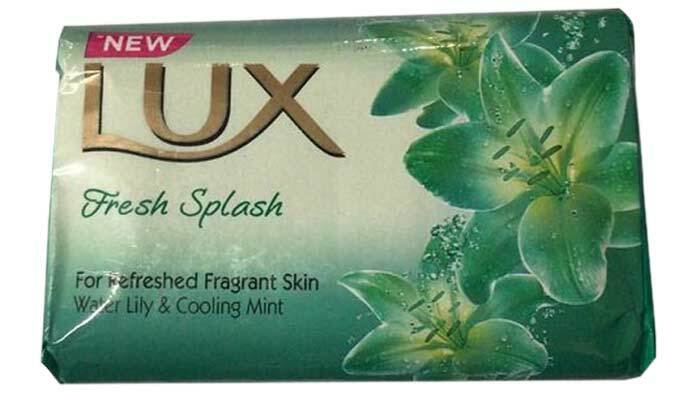 The Lux splash soap has an invigoratingly fresh fragrance that leaves you feeling rejuvenated after every shower. It combines the sweet fragrance of water lilies and mint that awakens your senses and leaves you energized. 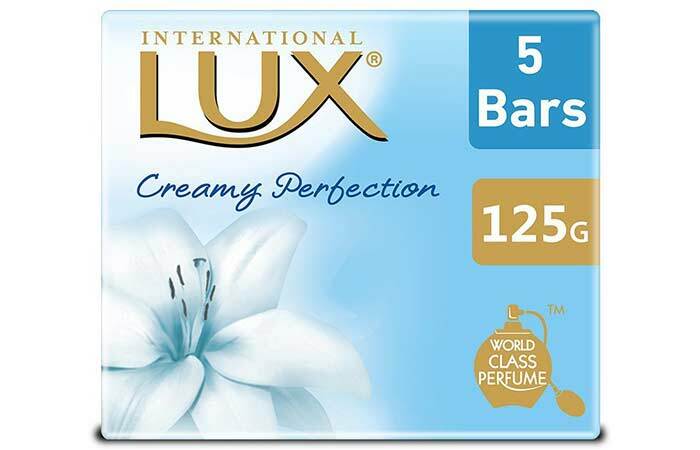 The bar cleanses your skin thoroughly and leaves it silky smooth and subtly fragrant. Crafted by experts with premium fragrance oils, this exotic Lux rose soap bar is infused with the scents of Egyptian roses and musky vanilla. It is ultra-feminine and gives a rich lather to clean your skin thoroughly but gently. This beauty soap is infused with the heavenly fragrance of patchouli oil and Moroccan Iris flower. The fragrance is sophisticated and luxuriously rich and stays on throughout the day. The soap has a non-drying effect on your skin and cleans it without robbing it of natural oils. It claims to make your skin irresistibly soft and velvety (as the name suggests). Formulated with floral fusion oils, it has the exquisite fragrance of jasmine that lingers long after you have taken a shower. It lathers well and gently cleanses your skin to remove all dirt and grime. Infused with the fragrance of Kashmir wood and French magnolia scents, this luxurious soap bar from Lux is pure indulgence. The perfume is irresistible, and the soap is very gentle on your skin. 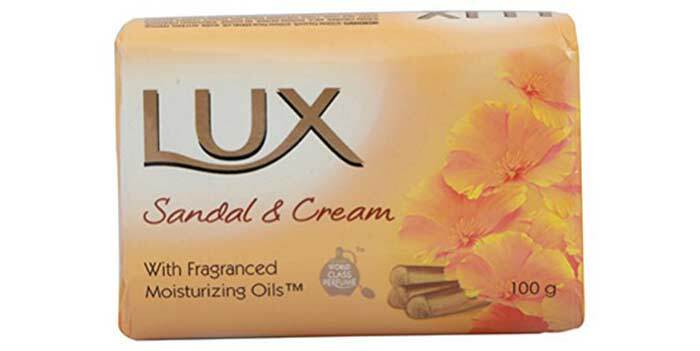 This Lux sandal soap combines the rich and sensuous smell of sandalwood with rich cream. It cleans your skin from deep within, making it soft and glowing. 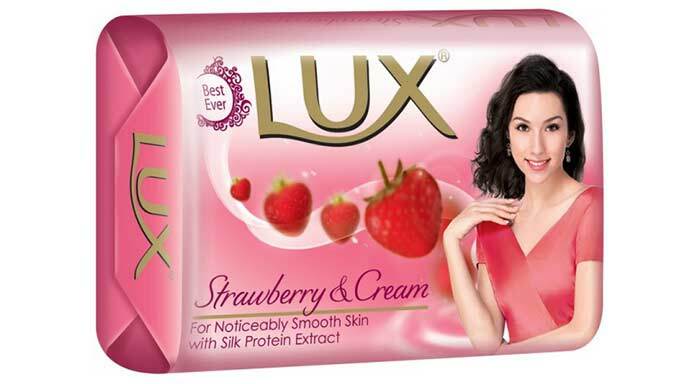 This soap bar contains the goodness of strawberry extracts and lush cream with moisturizing benefits. The silk protein extracts give you noticeably soft and smooth skin. The foaming formula of the soap is gentle on the skin and keeps it hydrated. If you haven’t tried Lux soaps yet, get one today. And don’t forget to tell me which one of these you fell in love with. Drop a text in the comments section below and keep watching this space for more such product updates. Till then, stay glam!